Just getting to the decision of succession can be a trying one and fraught with difficulty, especially when dealing with Mum and Dad. Following in the footsteps of a charismatic, highly successful leader can be daunting at the best of times; David Moyes, for instance, had his work cut out following Sir Alex Ferguson at Manchester United and Tim Cook followed a titan of innovation in Steve Jobs at Apple. The culture is often built around that person, the staff looks to them for direction and they make the job look effortless. If they have founded the company chances are that there will be a few long servers who owe their loyalty, and much of their careers, directly to the incumbent leader. That is tough act to follow. Now, what if that person is also your mum or your dad? In a non-family business the process of succession can be relatively straightforward; find the best person for the job and hire them. The process is more often than not a reasonably objective one; experience; check, skills; check and so on. In the family firm, the successor may not have, in fact probably won’t have, the depth of experience and skills that their parent has. They probably don’t have the same cultural influence of the parent and the staff may not feel that their loyalty stretches to the successor. Above all they are not their mum or dad (despite the idiomatic assumption about acorns and trees) so they may want to do things a little differently, which can cause a lot of uncertainty. Without a family version of Salic law (and even the Royal family have abandoned that one), another complicating factor might be the skills and experience of siblings who feel that they should also be the successor and this can cause a wide variety of problems in the future, particularly in the absence of mum or dad. Just getting to the decision of succession can be a trying one and fraught with difficulty. The incumbent parent needs to have decided what their own future holds; maybe a deserved retirement (and this really ought to be retiring into a different role rather than retiring from the current one)? Perhaps a non-executive role? Or even waiting in reserve to save the day when it all goes wrong? For many the decision is to stay in post until health or death takes them. Whilst this last approach isn’t necessarily wrong, it is not exactly easy to plan as sickness, or death, has a particularly nasty habit of sneaking up on people. Plans need to be made for succession and the earlier the better. The main reason that plans aren’t made, and in fact are rarely even discussed, is that the subject is fraught with emotions and the question of mortality and this is true for both the incumbent and the successor. Putting the discussion and the decision in abeyance can mean storing up trouble. History is littered with examples of succession going badly wrong ; we only have to look at Royal Families for inspiration. When there has been no heir to take the throne and a line of succession has yet to be established, or the heir presumptive is too young and inexperienced, then the uncertainty of succession has often caused civil strife. Even when the succession of royalty is meticulously planned and the heir presumptive has been groomed for succession, things don’t always go that well for them; Edward VIII being one example. If the legacy of the family business is important then the question of succession has to be answered and planned for. What sort of leader are you and what role do you want to play after the succession? 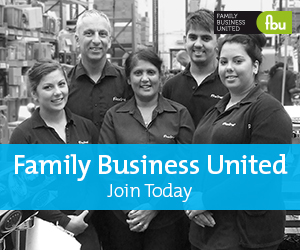 Is the business a legacy for your family or are you looking to exit and sell the business? Will you be involved with the business after the succession process or will you cut your ties? Does the nominated successor want to do the job? Once you have chosen a suitable heir, you need to ask this question. You want the successor to be happy in their role and to feel the same passion as you do for the company rather than fulfilling the job out of a sense of duty. They may be happier doing something else other than the top job. Are they ready, and if not what do they need to be made ready? One of the big barriers to succession is if the successor is ready and able to do the job. The education and preparation for the role cannot start too soon and is another reason why the succession process needs to be started early. The succession process, as we can see, can be far from straightforward. The process needn’t be painful though; with a bit of thought and careful planning, succession shouldn’t be a traumatic event but rather a carefully managed transition from one generation to the next. By seeing this as a process rather than an event you can look to develop the next generation long before that day comes.